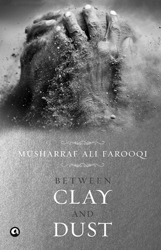 Musharraf Ali Farooqi’s new novel, Between Clay and Dust, begins in a nameless inner city shortly after the Partition. Farooqi’s story could be any city passing through an epochal moment, when change is imminent, inevitable. Between Clay and Dust is about change. It’s about what happens to people when their most cherished possessions — their beliefs — come into contact with change. Change questions the value and relevance of tradition; the things that defines us. It isn’t very easy to talk about the merits of a book that deals with the brain as its literary metaphor. It can be totally interesting or totally crazy as a book. 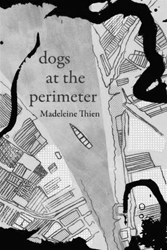 Dogs at the Perimeters’ language for one become a bit tricky to handle but one must praise Madeleine Thien of holding the reader’s attention despite the neuroscience that creeps into the book. Equally easily, it can be said that the themes of the book actually necessitate the language tone and register. Faiz’s immense popularity often stands in the way of a critical appraisal of his works. His contribution to our language and culture needs no endorsement from me. Faiz may have had some detractors as a poet, but as a person he has had the rare distinction of having no enemies. He radiated what can only be described as “plain goodness”. He had a tranquil and temperate disposition. He remained, throughout his life, the embodiment of patience and forbearance. Farooqi’s theme stumbles on the forces of change in our lives today. At Partition, ours was a rural, pastoral land; we, an agrarian society. Change has seen us, since then, harness the potential of our rivers and soil and has seen through the transformation unmatched in its scale, speed and dimension. Most profound has been impact of our urbanisation. 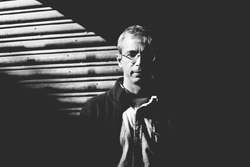 The French philosopher Henri Leferbve referred to an Urban Revolution as trajectory of a society as it emerges from the rural past into the industrial modern. Its epochal moment is when, for the first time, society has no experience of its rural past to understand the change it faces. And urbanisation — cities, the place of culture and triumph of human civilisation — is, in many ways, the most powerful force of change of them all. Cities are terrible beauties, where all is changed, utterly changed forever. Between Clay and Dust begins in a nameless city and tells the story of Ustad Ramzi, “the head of a pahlwan clan and the custodian of a wrestler’s akhara.” The abolition of princely states after Partition means fewer patrons, and we are made witness of the beginning of the end of the tradition Ramzi fights to preserve and prolong. His efforts seem cursed, at every step. With retirement looming, Ramzi’s younger brother and heir apparent, Tamami, constantly disappoints. The frustration of the two brothers, unable to communicate with each other and held back by decorum and Ramzi’s seniority, growsand Ramzi finds some relief in the kotha of Gohar Jan, a prominent but aging tawaif. Farooqi also spends time describing Gohar Jan’s life, and for nearly half the work, spins a remarkable story of Gohar Jan and her nayika, Malka, whom she took in as an infant and raised, but offered no love. Gohar Jan also faces change. The violence of Partition meant the migration of tens of thousands and the dwindling of her clientele. It means having to close down parts of the kotha and accepting the inevitability of an end. “Water, which had united elements in the process of construction, now aided disintegration.”Making you stop and go over them again and again. They don’t lose their tenor or strength. As if they convey something far deeper than the paper they are written on. As Tamami falls further and further foul of his elder brother, we see the appearance of Ghulab Deen who, in a sense, represents the changing world Ramzi so resists. It involves fighting for money rather than the honour of the clan. It means pandering to a crowd rather than maintaining the dignity of the akhara. Ghulab Deen passes in and out of the narrative with his experience with a new team of wrestlers appearing as the new world that change will bring. Farooqi’s strength is taking these different but connected stories and bringing them together for, in my opinion, one of the tightest endings to any novel I have read. In the end, a broken man, Ramzi pays a last debt owed to Gohar Jan and, cleansing himself of his sins, turns to the change and accepts it. The very end of the novel introduces change in the form of the municipal corporation. Both Ramzi and Gohar Jan find that the new plans for their city cruelly exclude them. As if the master plan of the future didn’t have room for them. This is the story of cities around the world today— characterised by underdevelopment where there was once vibrancy and by slums that exclude the poor from the rich. Between Clay and Dust ends by raising questions of how we, today, should face and deal with the changes we face. Not all change is bad, for change is a process. What is important, what sustains our life even when what we know has passed, is the constant that is purity of purpose. Dogs at the Perimeters is a book of personal history that becomes the object of fiction, mainly the history of the Khmer Rouge and Cambodia and as Thien is Canadian, the book becomes the personal history of two places, Cambodia and Canada. Thien, interestingly, explores the history of all the characters she creates by looking at them through the eyes of a brain surgeon. The novel carries metaphors of neuroscience, meant to explain links between brain cells and memory, between personality and its relationship to images that we carry in our memory cells. If one loses those images, it is another personality that emerges, which we may or may not recognise. The fascinating thing is how Thien transports this fantastic connection to the pages of the book. A person does things out of character. Where exactly in his brain does a wall of memory give way? Thien builds a whole collage of images and other characters, and with surgical precision keeps inserting them into the narrative; creating that wall of memory and then destroying it at the same time. What she achieves in doing in Dogs at the Perimeters is to show that through personal histories, political histories are created and through personal histories, human beings are destroyed becoming mere shreds of their real selves. Thien’s characters become ghosts with the burden of images that they carry. But it is difficult to say if the shedding of images is a good thing or a bad thing. Who can say what the real self is, the one with the experience of memory or the one without the experience of memory. The political provides the personal and vice versa. And out of this interaction a sequence of experience is born: a series of images accompanies it; creating the new personal. These new personal histories are the characters around which Thien builds her story. Dogs at the Perimeters has a very interesting structure which despite being very modern in technique is not inorganic. The novel picks up pace a bit slowly but that is not really a demerit. The slow start gives the reader the opportunity to see how the novel knits itself together, moving like a vehicle for creating a whole story with its characters and their brain-memory histories. With a fractured start at the beginning, and bits of discourse thrown in sideways, the novel pick up its threads and then quickly becomes a riveting account of a personal history. The way that we are introduced to Khmer Rouge, the genocide, millions of people disappearing and the juxtaposed images of chaos succeed in depicting the Khmer rouge like a disease of the brain. Where history is being altered, where a country cannot recognise itself any longer and where people carry on living with their ghost like selves until they break. Khmer rouge seems like a disease of the brain itself which is eating away at the body, the nerve synapses are collapsing in society. With the society in the throes of such chaos, genocide takes on significance. Since fates of one’ siblings might be unknown, so there is hope in thinking that they might be safe. The missing persons’ narrative that runs in the book is also a phenomenon that keeps the reader entangled in mystery. What happened to the missing people and how did they become missing from the narrative is a question that the reader wants answered. A Red Cross doctor lost in Cambodia, a brother missing since the genocide, these are never fully people, they are enticing fragments of memory that are introduced to the reader and one keeps reading on hoping that these people will emerge from the narratives of other memories and show us theirs. His warmth, his humanity touched all those who came in contact with him. Whether they knew him well enough is neither here nor there; people warmed up to him. He had a remarkable knack of making you feel that you had known him all your life. This cannot be said about many other men of letters in the context of the subcontinent. It is perhaps not known widely that Faiz was an extremely clear-headed writer of English prose. He wrote precisely and simply. Pakistan Times, came into being at about the same time as the country itself. Faiz was its first Editor-in- chief and remained so for the first five years. (This English newspaper might not have seen the light of day had Faiz not agreed to take up its editorship). Under his tutelage, the newspaper gained a tremendous amount of prestige and dignity. Faiz’s editorials bear witness to the quality of his prose. Faiz was extremely fortunate. Unlike other creative geniuses, he didn’t have a painful childhood. He was brought up by loving parents in a well-adjusted, happy, caring home. There were no demons lurking in the skeleton of his family cupboard. He did not have to seek metaphors to break through the constricting walls of tortuous relationships with an overbearing father or an over possessive mother. He chose to align himself with the deprived and downtrodden classes even though nothing in his childhood and adolescence prepared him for this course of action. It was not a rebellious gesture; it was a conscious, intellectualised decision on his part. Of all the modern Urdu poets Faiz Ahmed Faiz stands out as unique if only because — unlike his contemporaries — he did not give up the traditional poetic diction. Faiz became a leftist as a young man and remained one all his life. He believed, passionately, in changing the social order. He envisioned a world in which man would no longer exploit man. He must have been disillusioned at some stage but he never allowed doubt and despondency to creep into his poetic works. Loyalty was a paramount value in his social and philosophical make-up. Faiz has the knack of touching commonplace sensibilities. His tone never becomes strident. His motto is “Love” — and “utter, if you dare, the word of truth.” He speaks to us gently; he caresses our vulnerabilities, our doubts and, more often than not, whispers affable sentiments into our ears. His voice is so gentle, that we cannot help being swayed by it. It is only when he stops that we realise that what he was uttering was not sweet nothings but a cogent, well thought-out message. His affable expression conceals the sorrow and anguish that he feels for the human condition. 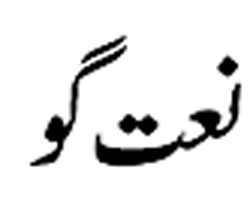 The most unusual aspect of Faiz’s poetry is that even when he talks of the need for bringing sweeping changes in the established order, he employs a language that is couched in religious symbolism. I can think of no other poet, in our language, who draws so much from the prolific store of Islamic credo. (Josh Malihabadi comes to mind but Josh has a high falutin diction which mesmerise us with the panoply of its verbiage) Faiz adopted this manner almost as a stylistic device. There is nothing abstruse in Faiz’s poetry. Indeed, at times, his verse is alarmingly simplistic, almost in the mode of a writer of hymns ( ). he not only reminds us of the history of certain events — events deeply embedded in the psyche of Muslims — he also makes a valid justification for protesting against the inequities that exist in our society. Islamic culture and its parables, its fables and its symbols, assume an aesthetic quality in Faiz’s poetry. 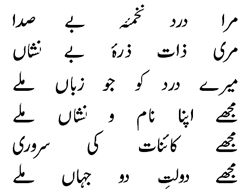 Faiz’s diction often transcends even the ideological goals that he had set himself. His thinking was always a little more refined, a little more chiselled than his creed. His upbringing, his mental conditioning, his cultural growth was soaked in the Islamic tradition. I am not suggesting that Faiz was an Islamic poet in the sense in which we call T.S. Eliot a Christian poet. What I mean to say is that Faiz’s imagery remains traditional — and like all traditional classical poets (Urdu & Persian) it is ensconced in Islamic symbolism. He was particularly fond of Sauda and Mushafi and you can detect shades of these two poets (particularly Mushafi) in his ghazals, but Faiz was his own man and he created his own stamp, his own seal, and this seal was culled out of scriptural and doctrinal terminology. The major difference is that into this terminology, Faiz wove a deeply humane and an intensely mellow message of love and good fellowship. You do not find any rancour or bitterness in his verse. He believes in a cause but remains tolerant to those who didn’t. It is this tolerance (exquisitely crafted into his diction) that has endeared him to millions of people in his own land — and many who live beyond.